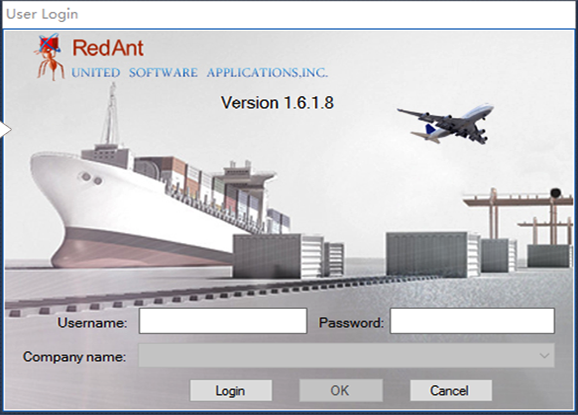 RedAnt United Software Applications, Inc. 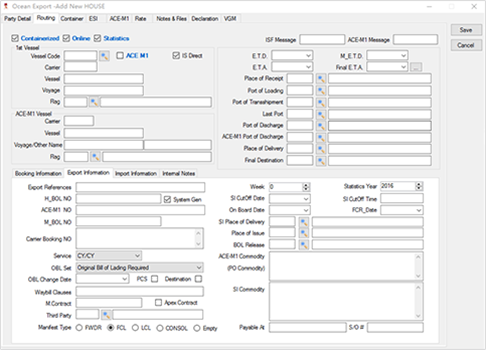 Ocean management system is a third party logistics application with financial function, which refers to full international maritime transportation service of international forwarding company. It contains different kinds of Web query to users and both forwarding and accounting requirements in different countries and regions. With EDI function, all of the data that customs requires to can be submitted very fast, and communication very convenient between stations. 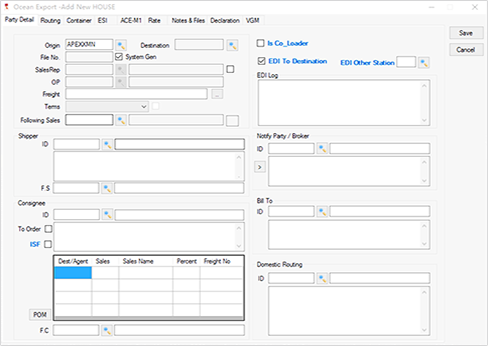 Party detail function contains shipper, consignee, notify party and other basic information,and provides EDI options to communicate with other stations. 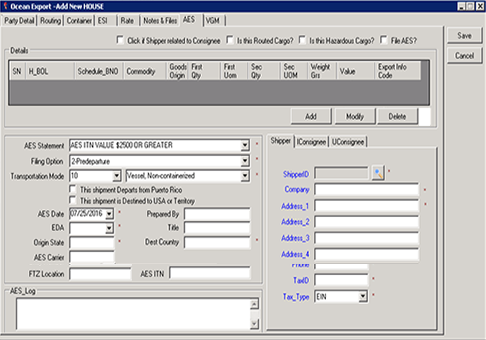 Routing function contains vessel, booking, export and import information of shipment. 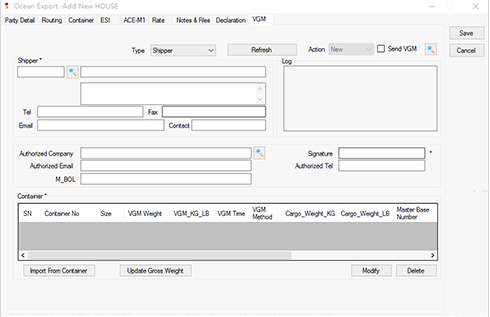 Vessel information can be directly added from the schedule function vessel. 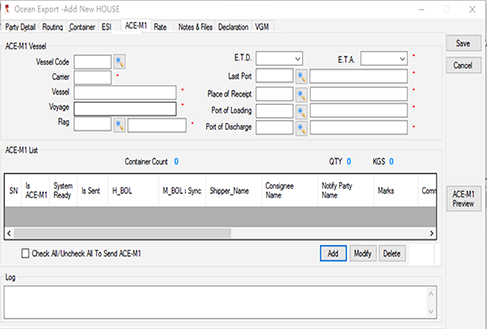 ACE-M1 service provides to submit ACE-M1 information to CBP by EDI and automatically receive ACE-M1 log from CBP. Users don’t need to type in those information again because it can be collected from other functions. 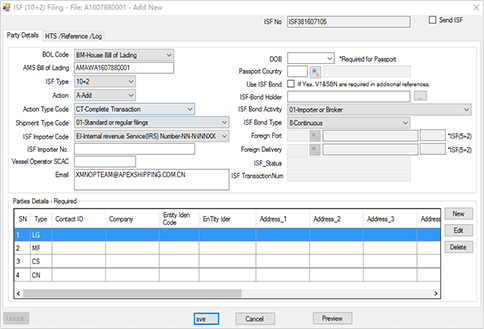 Importer Security Filing service provides to submit both 10+2 and 5+2 to CBP by EDI, and automatically receives ISF log. VGM submitted by EDI on the basis of SOLAS. It’s convenient and fast to update and cancel submittion. For those export shipments from United States, AES information can be submitted to CBP by EDI. The history and result are updated in real time and show in the AES log. Copyright © 2010 United Software Applications, Inc. All rights reserved.